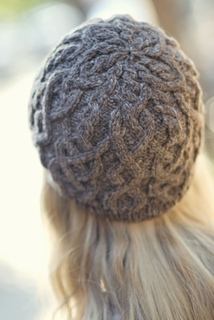 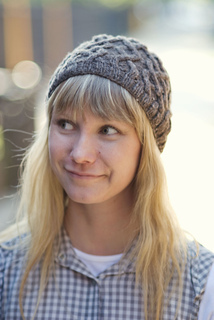 A warm, handknit hat perfect for both newbie and seasoned cablers alike. 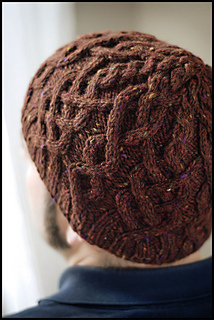 Crown shaping is integrated into Aran patterning to create a root-like star motif at the top of the head. 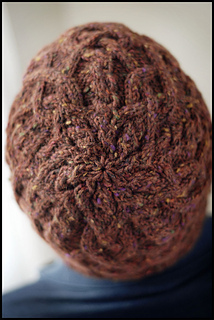 Larger size is .5” deeper and fits 23-24” head sizes, or fully covers ears of Adult Small/Medium.